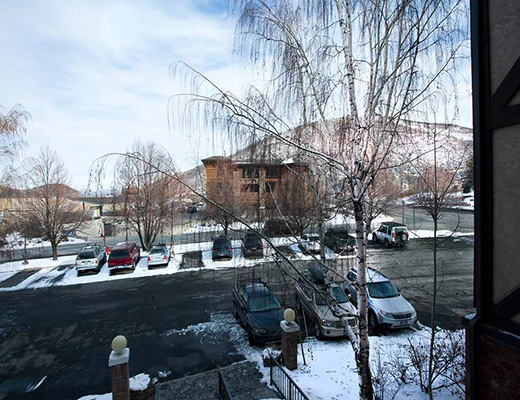 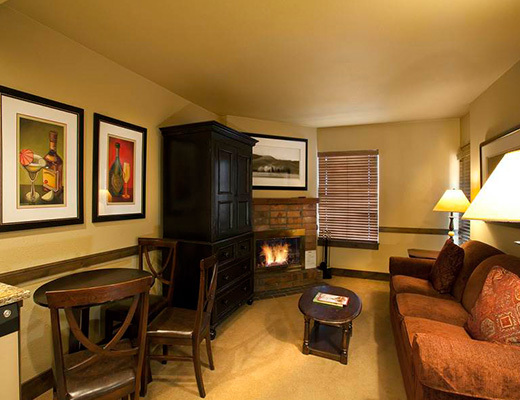 Just three blocks from Park City Ski Resort, the Copperbottom Inn is conveniently situated on the free shuttle route. 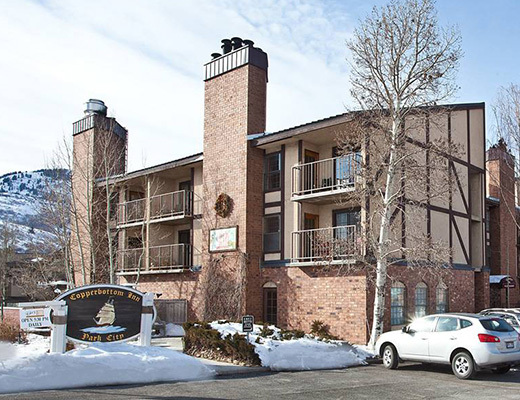 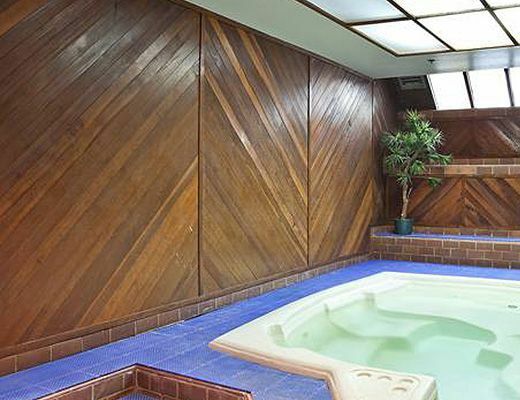 Offering comfortable condo rentals, a common dry sauna, guests are sure to enjoy lodging here. 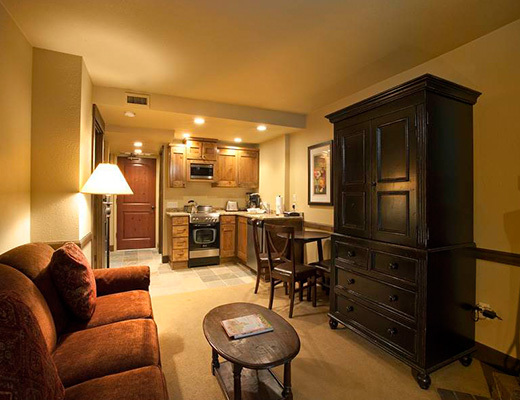 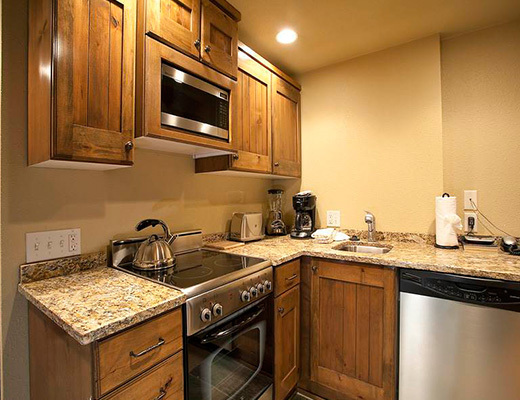 This one bedroom gold-rated unit provides its guests with charming dÃ©cor and relaxed furnishings. 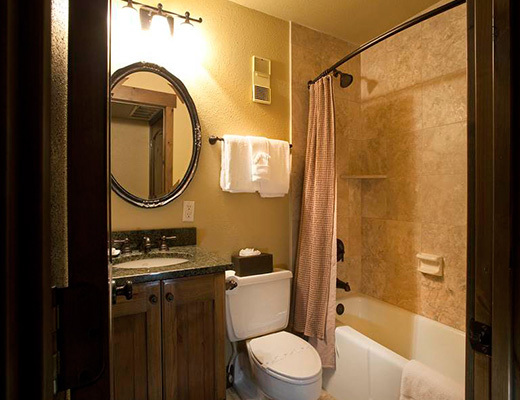 Upgraded stainless steel appliances, beautifully tiled bathrooms and a cozy brick fireplace make this property a desirable option for your next mountain retreat. 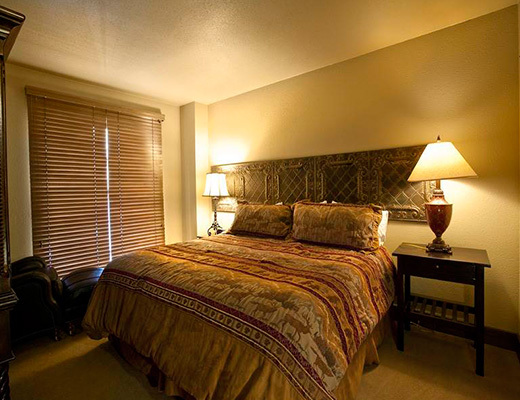 The onsite highly acclaimed fine dining of Chez Betty is an added luxury, while the bed draped in attractive linens offers comfort after a tiring day. 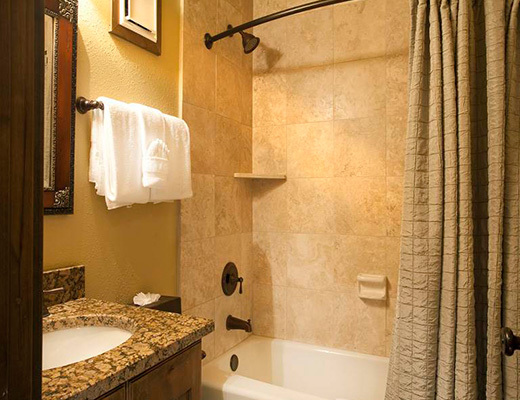 With accommodations for as many as four guests, this property promises not to disappoint.